Happy JUNE! 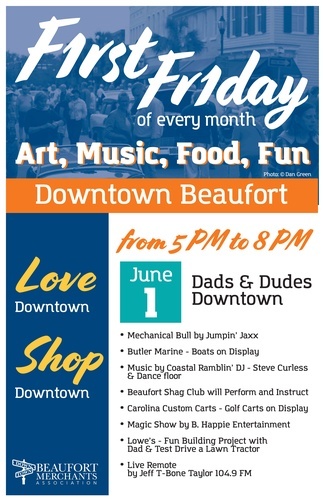 We are getting ready for FIRST FRIDAY AFTER 5, 5:00 – 8:00 p.m. downtown on June 1. Come on up for a howdy, and maybe a gift for letter-loving grads or literary gents for Father’s Day! :0) Look for my little A-Frame sign on the 800 block of Bay Street. The rest of the month we will be either gallivanting around soaking up literary inspirations on vacation, or I’ll be tucked behind the door madly making, making making. We’ll be back with bells on in July. My Etsy shop will be on holiday from June 7-24. Hope your Summer starts out with plenty of art and poetry! 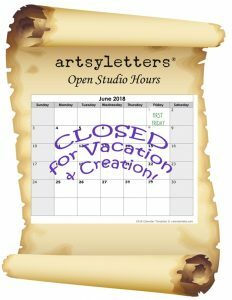 This entry was posted in Uncategorized and tagged artsyletters, Beaufort SC downtown, First Friday, open studio, shop hours, studio hours by artsyletters. Bookmark the permalink.